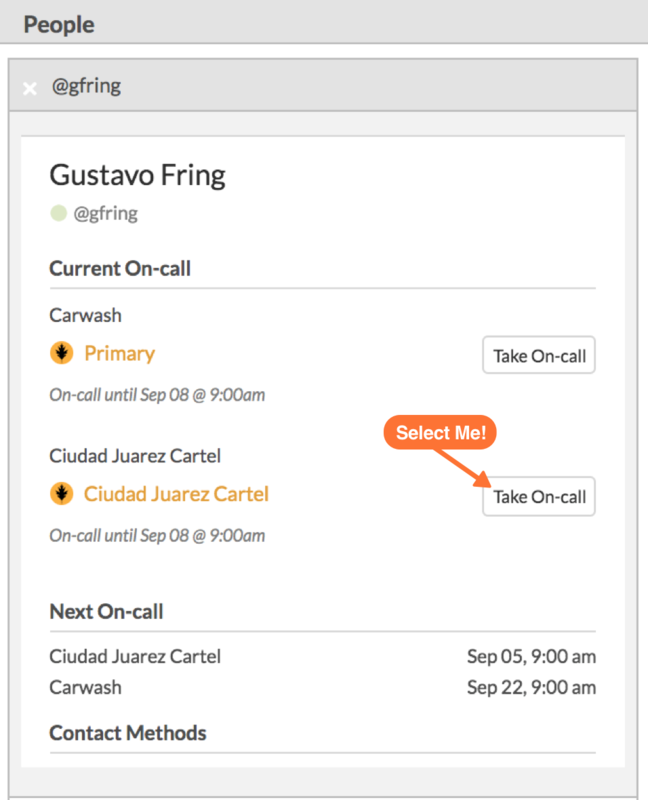 Manual Take On-Call is an action you can perform in VictorOps to take someone’s on-call shift from them with just a few clicks! 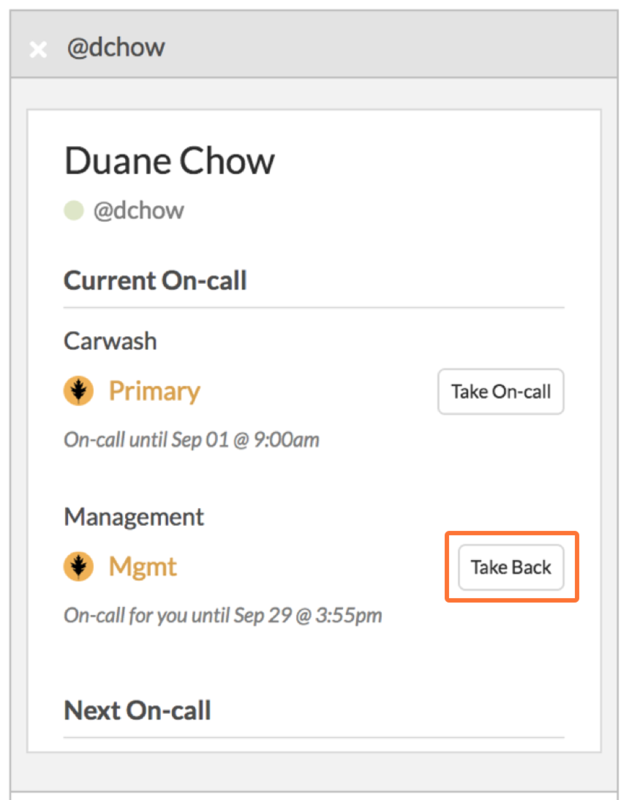 Rather than manipulating the entire team’s schedule, Manual Take On-Call provides that one-off functionality for your on-call teams to swap/change personnel in real time. 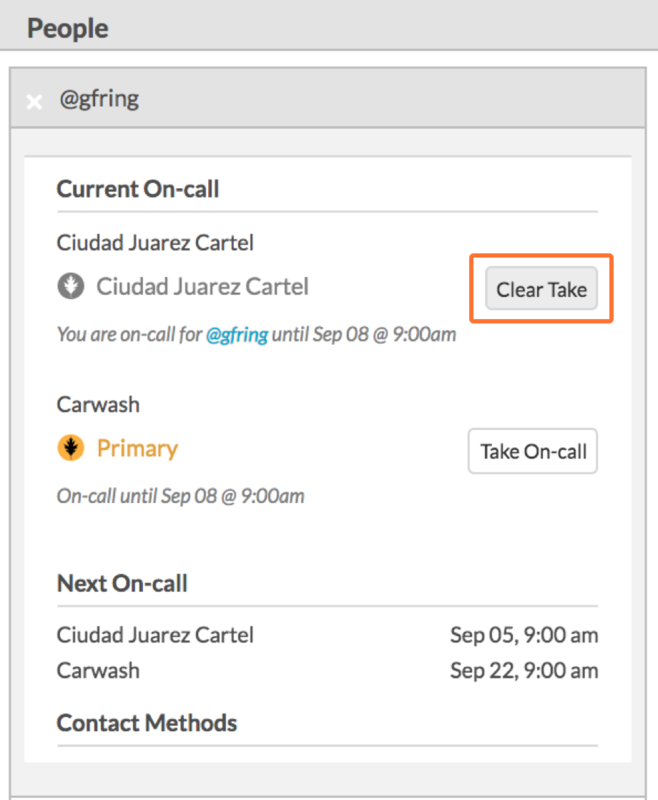 A Manual Take On-Call, when executed, allows one user to take on-call responsibilities from another user. This is achieved by directing your attention to the People Pane and then locating the user from whom you wish to take on-call responsibilities. Click into the desired user’s card. Locate the Escalation Policy for which you wish to take on-call responsibilities. 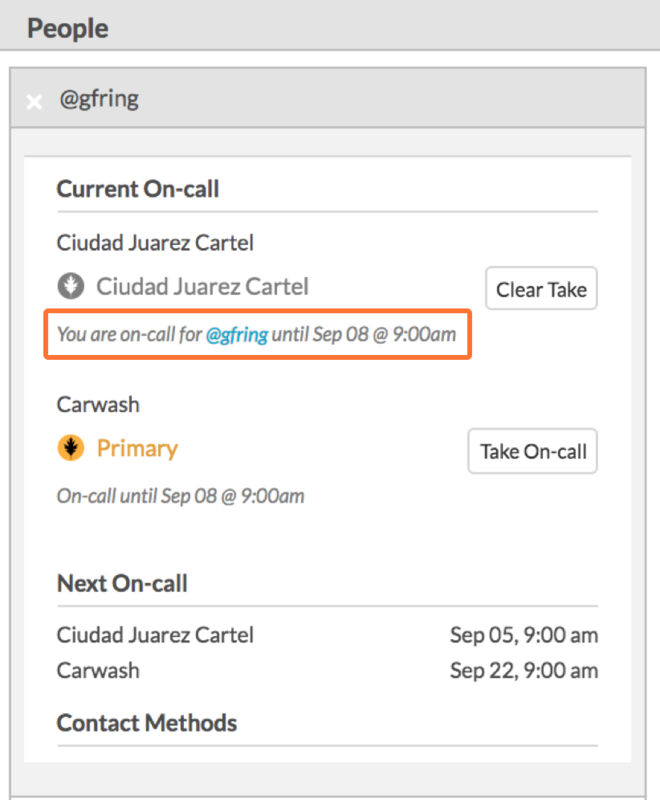 Click the Take On-Call button in line with the appropriate Escalation Policy and respond to the confirmation prompt to take the on-call responsibility from that user, for that team. 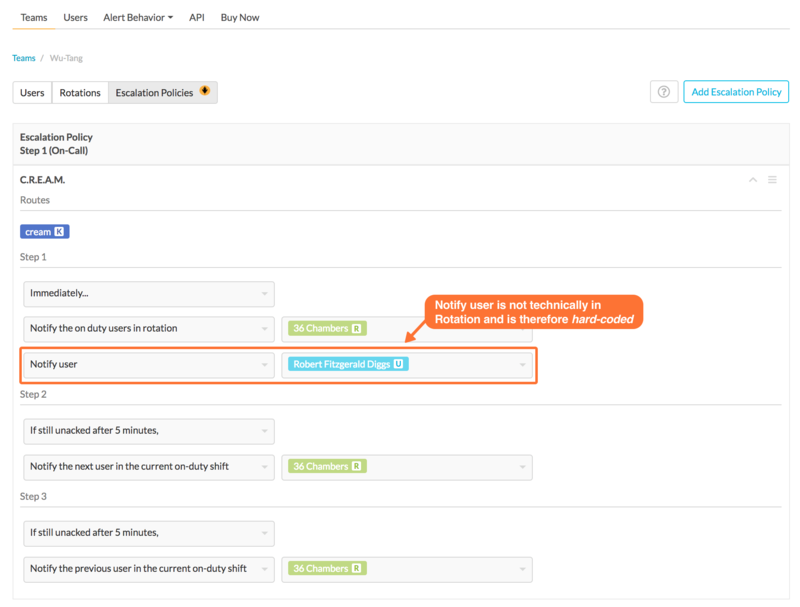 Upon successful execution – you will notice the escalation policy text turn gray, and the descriptive text underneath the escalation policy will change to indicate that you are now on-call for that individual. 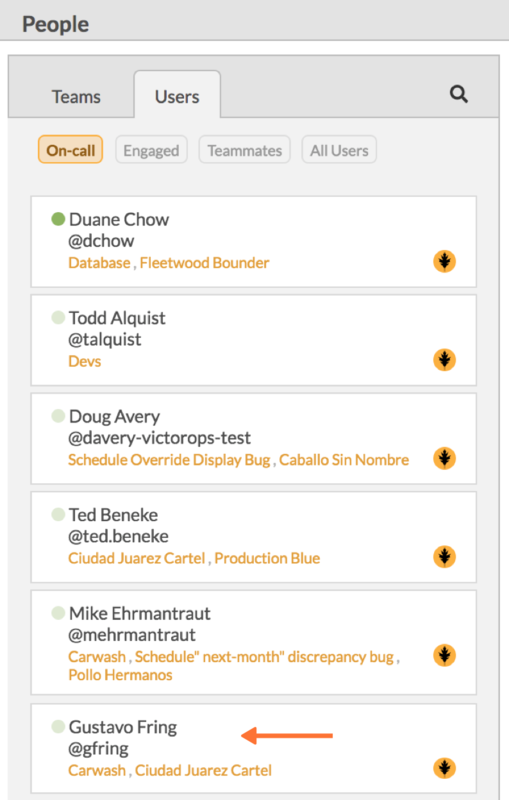 Additionally, On-Call Change events will appear in the Timeline reflecting the changes you just made. After you have manually taken a shift you, and the individual that you took on-call for, both have the option to Clear Take. This button will appear next to the escalation policy both in your user profile card and the other individual’s user profile card. If someone takes a shift from you, you have the option to Take Back that shift, effectively ending that take. The Take Back button will appear next to the escalation policy in your profile card and that of the person who took from you. When you Take On-call for a user who is hard-coded in the first step of an Escalation Policy (i.e., they are in a Notify User step), VictorOps imposes a 30 day limit on the take. The end day/time will appear in the descriptive text beneath the escalation policy that you took on-call for in the user profile card. Another thing to know: a Take On-call is denoted by a strikethrough in the main calendar as apposed to the colored bar associated with Scheduled Overrides.